Second floor two bedroom apartment. Extending to approximately 61 sq. m (656 sq. ft). 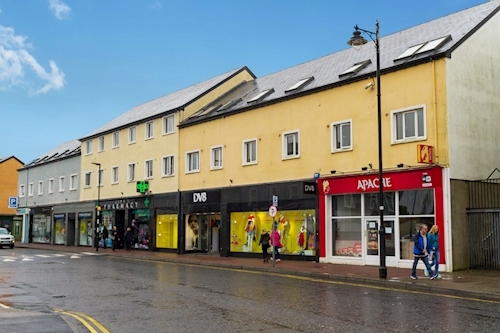 Castlebar is situated in the northwest of Ireland approximately 80km north of Galway City. Local amenities include a wide range of shops, bars and restaurants with further amenities including Mayo University Hospital and GMIT Castlebar. Transport links include bus routes, Castlebar Train Station and the N5. The subject property can be accessed via the Lannagh Road on to Hopkins Road from the west. Comprised within a building arranged over ground and two upper floors. 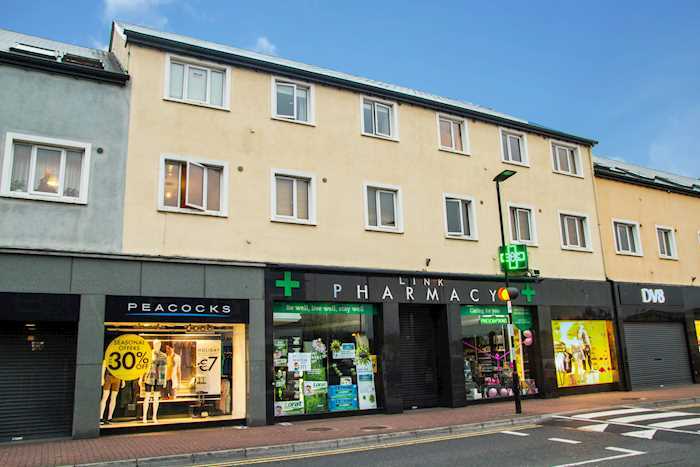 We are informed that the property extends to approximately 61 sq. m (656 sq. ft).